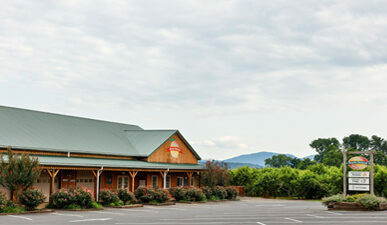 Located in Crozet, Virginia, and open from early May through Thanksgiving, Chiles Peach Orchard and Farm Market is the perfect way to enjoy the Virginia countryside. While tasty tree-ripened peaches may be the main summer attraction, you don’t want to miss the strawberries, apples, and pumpkins—all grown right here on our farm! Enjoy fresh local vegetables in season, including tomatoes, sweet corn, blackberries, melons, and more. Our farm market is brimming with gourmet goodies, including jams and jellies, apple butter and fresh-pressed ciders, gift baskets, and local crafts. The expanded ice cream parlor has creamy frozen yogurt and soft-serve ice cream, cider slushies, milkshakes and ice cream sundaes (made with fresh seasonal fruit), homemade fudge, and baked goods, including hot cider donuts, pies, and cookies! The Chiles family looks forward to seeing you soon. With the third, fourth, and fifth generations all active in our business, you will surely see one of us when you visit. We’re glad you are visiting us! Here are some guidelines to help you make the most of your visit to Chiles Peach Orchard. From springtime strawberries, summertime peaches, and autumn apples and pumpkins, there’s usually something ripe and ready to pick at Chiles Peach Orchard! Visit our Fruit Availability page for more about our seasonal fruits.